Welcome to the How To Play Guitar website. This video lesson series is free, and perfect for a beginner who wants to learn how to play guitar. It doesn’t matter if you plan on playing acoustic or electric guitar since all the lessons here apply to both. We’re going to cover all the must-know basics so you can play your first song as quickly as possible. 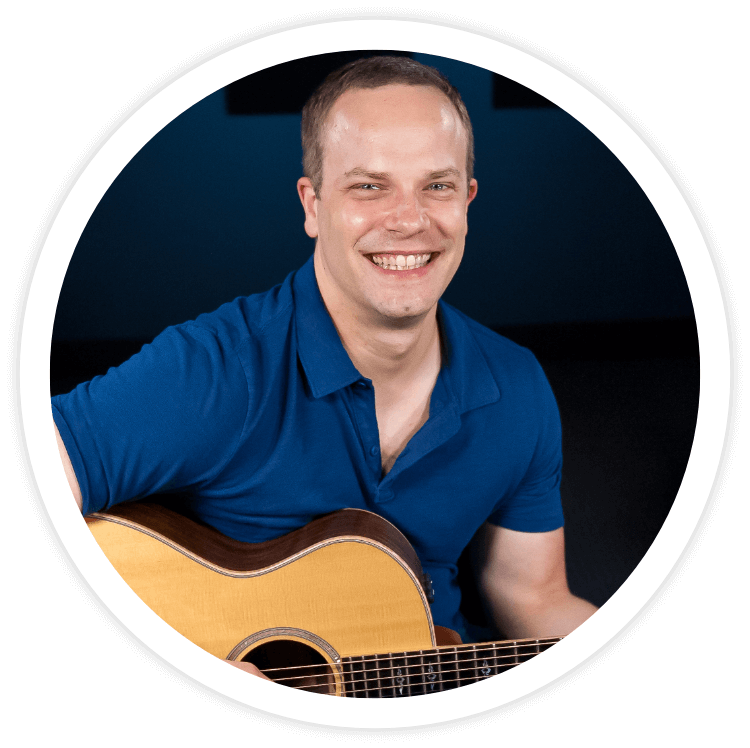 Starting to play guitar can feel challenging at first, but if stick with it and go through these lessons with me, you’ll soon discover how much fun it is to play guitar. In this first lesson, I’ll give you an overview of what to expect in this series, and give you some tips on how to get the most out of these lessons. In the second lesson, I’ll teach you how to tune your guitar using an electronic tuner, which is important because no matter how well you can play, it won’t sound very good if your guitar is out of tune. In the third lesson, I’ll teach you the first chords you need to know. Along with the chords, I’ll show you how to make your chords sound clean, and show you how to make smooth transitions between chords. The fourth lesson will be all about how to strum the guitar. Learning to relax will be key in reducing your risk of injury, and it will make your strumming sound more musical as well. In the fifth lesson, we’ll bring everything you’ve learned together. We’ll put chords and strumming together so you can play your first song. Before you head to the next lesson, I’ve got some tips that will help you through this series. The first tip I have for you is to break up your practice into short bursts. It will be more effective for you to practice several times a day for ten minutes than to have one longer practice session. When you practice in several short sessions, it taps into your long-term memory and your muscle memory. It also gives you a chance to rest your hands when they get sore from learning new chords. The second tip I have for you is to spread out your practice time during the week. It’s better for you to have several shorter practice times five or six times a week than to only have one or two longer practice sessions on the weekend. Again, this will help reduce the risk of injuries, and be a more effective way for you to learn. The last tip I have for you is share this series with someone you know who also wants to learn how to play guitar. It’s really helpful if you have someone to learn with, and it’s more fun too. If both of you are going through the lessons, you’ll each pick up on different things and be able to coach each other along. Thanks for watching this lesson. In the next lesson I’ll teach you how to tune the guitar with an electronic tuner, which is a very valuable skill to have.